Wow! An exhausting, but very valuable 3 weeks in Japan. I went to Tokyo, then Osaka, then, probably the highlight of the trip, Koyasan, then Osaka, Yokohama and Tokyo. Koyasan is the headquarters of the Japanese tantric Buddhist, Shingon School. I stayed there at a shukubo, a temple lodging for pilgrims and did Shingon jukai, taking the Buddhist precepts and then the kechien kanjo tantric initiation. Very intense experience, instead of a tourist, I got to be a pilgrim! 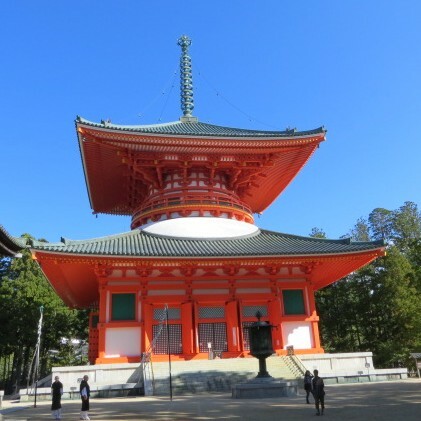 The picture is of the Daito, the Great Stupa, at Koyasan.